Negligent Early Discharge Lawyers in West Palm Beach FL | Gonzalez & Cartwright, P.A. When you are admitted to a hospital or other medical facility, the day that you get to return home is usually one that is celebrated. In-patient treatment for injuries or illnesses is stressful, uncomfortable and inevitably expensive, so returning to the comforts of your own home should be a positive development. Unfortunately, this is not always the case. The negligent early discharge of patients from hospitals and other treatment facilities in Palm Beach County and throughout South Florida often exacerbates conditions from which the patient has yet to fully recover, and can actually result in the need for much more extensive and ongoing treatment—in other words, medical care that is required to treat conditions that might not exist had the patient simply remained in the initial facility for the proper amount of time. At Gonzalez & Cartwright, P.A., we have dedicated our careers to protecting the South Florida community from harm caused by actions like negligent early discharge from a medical facility. We believe in paying attention to the details in every case and will methodically investigate the often-complex circumstances involved in establishing liability in negligent early discharge cases. 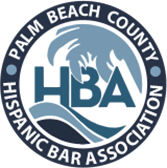 Our lawyers pride ourselves on offering compassionate support to the Hispanic community of South Florida as they recover from their injuries, and our offices are fully bilingual so that we can discuss your issues in English or Spanish. Failed to schedule necessary follow-up treatments or visits with the patient, or failed to properly instruct the patient on the need (or potential need) for continuing care. Discharging a patient before that patient has fully recovered is not actionable medical malpractice in every single case. In order to pursue a claim that a medical professional’s early discharge of a patient was negligent, and thus amounted to medical malpractice, it is first necessary to establish that a similarly situated medical professional would not have discharged the patient given the circumstances of the case. To do this, we will consult with expert witnesses who will give their sworn opinion that someone with similar medical training would not have discharged the patient from care. You developed a new condition because of the negligent early discharge, creating the need for care that reasonably would not have arisen if not for the early discharge. The key factor in these cases is establishing that the harm you suffered would not have occurred if not for the negligent early discharge. For example, if you developed a post-surgical infection that caused you additional harm after your doctor released you early after surgery, and a reasonable doctor would not have released you so early, the harm is only actionable after establishing that you likely would not have developed that infection but for the negligent early discharge. Negligent early discharge cases present potentially complicated issues in every case, so call our skilled South Florida medical malpractice lawyers today to discuss whether you might have a claim for compensation. You can also fill out this secure online form and we will respond promptly. 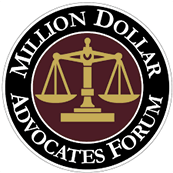 FAQ: What type of compensation can I receive after being the victim of negligent early discharge from a hospital, and what type of harm do I have to show? The harm itself can also take on a variety of forms, including increased medical expenses that would not have been necessary if you had remained in the hospital for the proper amount of time. Additional pain and suffering caused by the early discharge, as well as loss of enjoyment of life or lost earning capacity resulting from a worsened or new condition may be available depending upon the circumstances. FAQ: I think that I was released from the hospital too early, and that’s what caused my condition to worsen, but don’t understand how I can prove that negligent early discharge was the cause? Our experienced negligent early discharge lawyers have the resources necessary to conduct a full investigation, which includes extensive consultation with experts in the field, to determine what happened in your case—as well as the likely results had you remained in the hospital for the appropriate amount of time. We know that medical malpractice cases can be confusing, but we are dedicated to helping our clients sort through these issues and will put all of our resources to work to protect your right to fair compensation.